Just as signs emerged that Norway’s train strike may be rolling towards a settlement, another strike threatened to result in power failures around the country. Hundreds of thousands of electricity customers may be affected after a strike by electrical workers spread again this week. The strike has been underway since talks broke down more than a month ago between four labour organizations and municipal employers’ organization KS Bedrift. Members of the union federations EL og IT Forbundet, Fagforbundet, Delta and Parat were first called off the job on September 22. The strike has been expanded twice since then but only now, with 1,091 employees in 74 energy companies off the job, does it seriously threaten to result in electrical power failures. That’s because so many of those who maintain and repair power lines and stations are on strike that there won’t be personnel available to correct any problems that may occur. 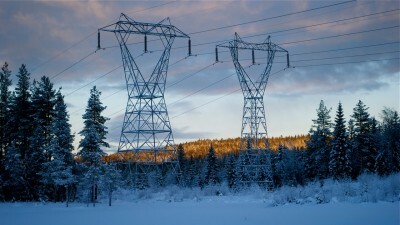 Companies affected by the strike serve around 380,000 of Norway’s 2.5 million electricity customers. The conflict is over how much compensatory time workers can take off after being on long duty shifts that can run for seven days in a row. The labour federations want to insert three comp days into labour contracts, instead of the two days guaranteed under state labour law. The union demands would amount to a total of 10 comp days off over the course of a year, in addition to holidays. The demand comes after many periods of extreme weather in Norway that has knocked down power lines and demanded extensive repairs. “We have more extreme weather in Norway, larger areas of responsibility, less staffing and our expected response time is zero,” claim the federations in printed statements. It’s “unreasonable,” they claim, not to allow electrical workers “enough” time for rest and recuperation. The employers, however, respond that such compensatory issues that exceed benefits provided in labour law must be negotiated locally and not in a central, national agreement.